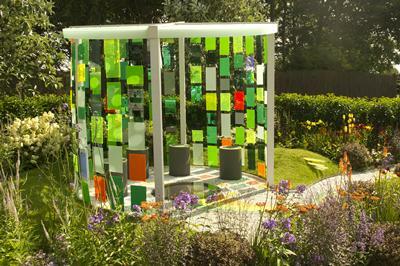 Reflecting Photonics, the International Year of Light garden sponsored by the University of Southampton, was recently voted Best Garden in the People’s Choice Awards at the Royal Horticultural Society (RHS) show at Tatton Park. 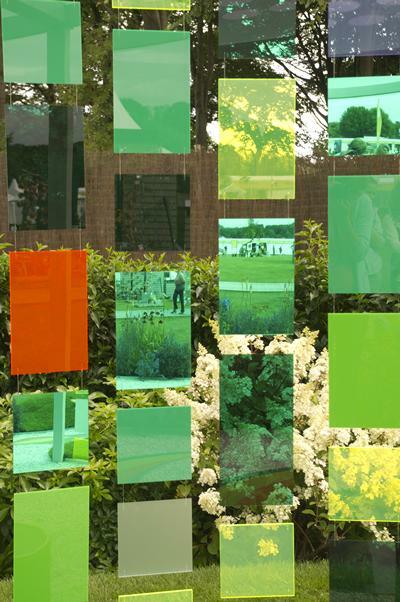 Sponsored by the Optoelectronics Research Centre (ORC), in conjunction with the EPSRC Centre for Innovative Manufacturing in Photonics, the Reflecting Photonics garden was conceived as part of a programme of activities promoting UNESCO’s International Year of Light. Designed by Elks-Smith Garden Design, the garden had already been awarded Gold by RHS judges at the show and featured in two prime time BBC2 special programmes about the RHS Tatton show (23 and 24 July 2015). The garden was inspired by a visit to the ORC’s speciality fibre production facilities and clean rooms. The show attracted 80,000 visitors and provided a novel platform to engage the wider public in the science and technology of light. Pearl John, Public Engagement for Physics and Astronomy and team leader for the project explains: “Much of our work is conducted in schools, colleges and universities, with visitors already thinking about education. RHS Tatton gave us an opportunity to reach a broader public who may not realise the opportunity and value of science and technology subjects as careers and which help develop the UK economy. Special thanks go to the energetic and talented outreach teams from Physics and Astronomy and ORC: Matt Posner, Lieke Van Putten, Nathan Soper and Tina Parsonage and post-doctoral researcher, Dr Natalie Wheeler.